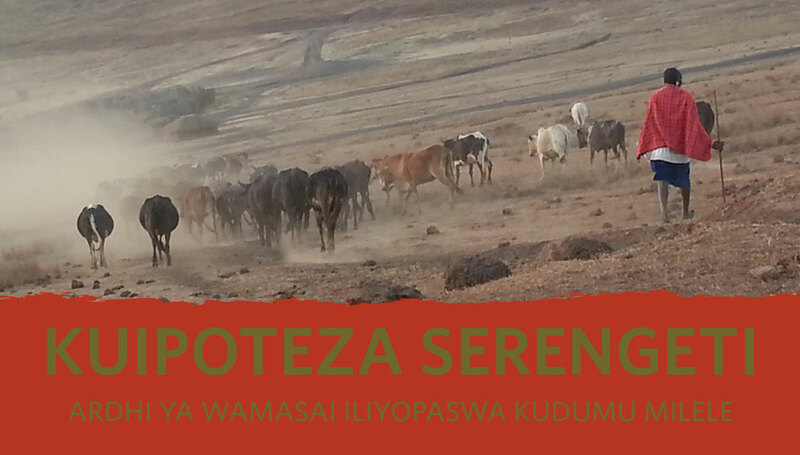 Kuipoteza Serengeti, Ardhi Ya Wamasai Iliyopaswa Kudumu Milele, is a Kiswahili translation of the report Losing the Serengeti: The Maasai Land that was to Run Forever. Based on field research, never publicly-seen-before documents, and an in-depth investigation into Tanzania’s land laws, the report reveals how Tanzania’s Maasai are facing appalling levels of human rights abuses in the name of conservation and the promotion of safari tourism in the Ngorongoro and Loliondo regions. The report specifically exposes the devastating impact of two foreign companies on the lives and livelihoods of the Maasai – Tanzania Conservation Ltd (TCL), a safari business operated by the owners of Boston-based high-end safari outfitter Thomson Safaris and the United Arab Emirates (UAE)-based Ortello Business Corporation, which runs hunting excursions for the country’s royal family and their guests.